Today post is about hair removal! 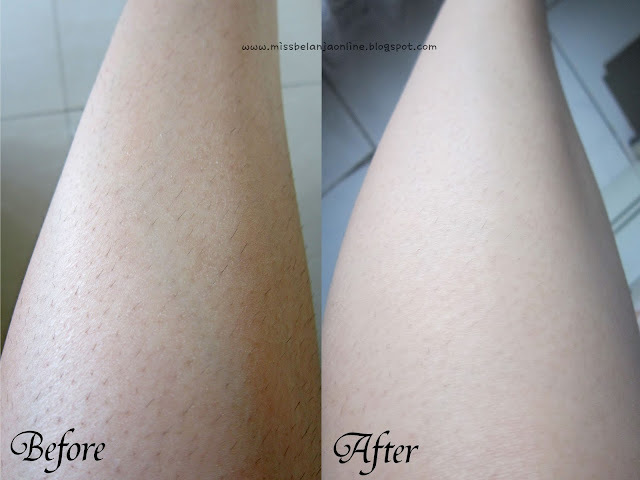 Few weeks ago, I was contacted by ce Mindy to try the hair removal service at Bangkok Beauty. Sounds familiar? well, I was attended their grand opening last year with my fellow bloggers. Read here to know the whole story. Back to the service, Ce Mindy asked me if I want to have a hair removal on my body? because she know I have quite a lot of hair on my body hahahaha. Thank you for the offer ce Min! So, I said yes! Luckily I still on holiday at that time so I have many free time. They also sell beauty products from Thailand. When I arrived at the place, ce Mindy already there and she is quite busy because Me-nail (same building with Bangkok Beauty) also sponsored some bloggers to try their service. Because I never tried their treatment before, I need to fill some forms before I start. I started with low leg hair removal. The process started with some drawing~ the ladies (I don't know how should I address mbak in english, so I guess ladies will do) draw a white line along my leg and then remove my leg's hair with razor. After that, they started apply the special gel for on my leg and then move on to the next step, which is the use of SHR Machine. I'm very sorry because I don't have any picture about this process. They told me not to take picture because the light of the machine can be bad, even I must used sunglasses during this step. And stupid me... I didn't event think to took a video *sigh* I promise for the next treatment I will make a video about the process (I have the video of this SHR machine on my old blog post). My clean lower leg! This treatment is very quick and painless (I don't feel anything during the process with the SHR machine). I remember I only need 15 or 20 minutes for the whole process. Beside trying the SHR treatment at Bangkok Beauty, I also tried their Vit C Brightening mask for underarm. Thank you ce Elisa for the recommendation about this treatment. At first, the ladies remove my unwanted hair, then apply some cream and clean it with brush applicator. After clean it, they applied special peeling on my underarm. It is sting and feels hot at first. I need to wait for 5 minutes before they clean it. Next, the applied mask. This time it feels cool on my underarm. I need to wait for 10 minutes before the mask completely dry and then remove it. As you can see, the center area slightly brighter than before. I'm quite pleased with the result. Also the treatment is only for 15-20 minutes and you can get an instant bright underarm. Hi Shasha..Datangnya hanya1x ya untuk hilangin bulu-bulu itu? Apakah bakal tumbuh lebat bulu dikakinya? nah bener tuh komen atas, apa nggak tambah banyak tumbuhnya kalo digituin ?